One of the major drawbacks of the current crypto economy is the reliance on centralized exchanges to buy and transact with cryptocurrency. Centralized exchanges not only exist in direct contrast to the founding principles of cryptocurrencies, but they also track their users, impose withdrawal limits, and are restricted by jurisdiction. 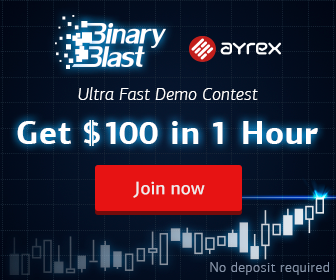 Decentralized exchanges, like IDEX or Binance’s new DEX, provide peer to peer trading for crypto to crypto trades, for example, BTC/ETH pairings. But so far, it’s been impossible to find an on-ramp fiat-to-crypto solution from a decentralized exchange. For those in restricted jurisdictions, areas where censorship is problematic or economies are poor, buying or cashing out of cryptocurrency can either be illegal, or impossible. Likewise, if governments decide to shut down centralized exchanges and block the fiat-to-crypto payment gateways, users would find it very difficult to convert their holdings into fiat and vice versa. Now, it seems there’s a solution on the horizon. DAIHard is a fiat-to-crypto on-ramp platform which allows users anywhere to bypass centralized exchanges. DAIHard is a platform which runs on smart contracts and allows users to form one-off crypto-to-fiat exchanges, a little bit like LocalBitcoins.com, except users must transact with DAI tokens through their MetaMask extension for Google Chrome. Most importantly, the DAIhard platform can be accessed and used without any arbiters or moderators. Fiat transfer on the platform can be carried out by any method on which both parties agree, for example, bank transfers, in-person cash, online credit transfers, or anything else the seller can think of. Parties agree on transaction terms via end-to-end encrypted chat on which they communicate and coordinate the terms of the fiat transfer prior to the trade. This could include detailing the location for a cash-drop off (for example, a real physical stash), or swapping bank account details. To set up a transaction, users will have to hold DAI and some ETH for gas. To buy DAI, users stake 1/3 of the purchase amount as a burnable deposit. For example, if a user has 10 DAI, they can only open a buy order for up to 30 DAI, and then once that has fulfilled and their holding is increased, they could open a larger offer. Of course, a completely anonymous and unstoppable fiat-to-crypto gateway based around burnable payments is not without its risks. In some cases, users of the platform may be required to burn their DAI, and in every single transaction for both buyers and sellers, there is either a risk of non-fiat payment or the seller burning DAI after fiat has been sent. DAIHard uses complex game-theory to argue that the chances of losing funds on the platform, while unavoidable, are small because users are incentivized to follow the best possible outcome. Both parties must choose which route to take for the least risk and biggest reward. This is known as a ‘credible risk of burn,’ which DAIhard claim is essential for the platform to function without centralized control. How is the DAIHard Platform ‘Unkillable’? 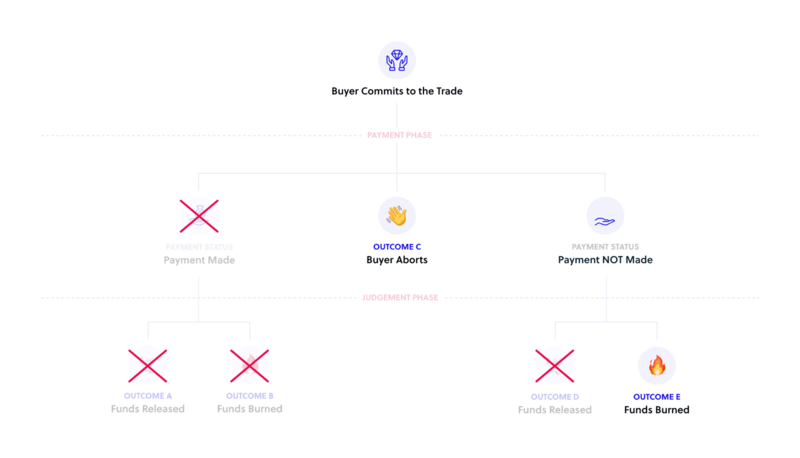 The DAIHard platform is based around the ‘Factory contract,’ which the DAIHard team says allows it to run continuously for as long as the Ethereum blockchain remains functional (unless there is some unknown or unforeseen bug), for anyone who wants to use it. Likewise, DAIHard doesn’t require any personal information, card details, or bank details, and does not need to interface with any specific payment system or jurisdiction to work; as it’s operated and used entirely through the user’s MetaMask extension. Additionally, as it’s a borderless platform, users can transact in any fiat currency they like, as long as they have the means to provide it. The DAIHard platform, the team says, is the first gateway to crypto which is completely devoid of centralized components, making it unkillable, flexible, borderless and private, completely circumventing centralized exchanges. The DAIHard platform is currently running on the Ethereum Kovan test-network, and in open-beta mode on mainnet. Although still very much under development, it will be interesting to see how the use cases for the DAIHard network evolve over time. 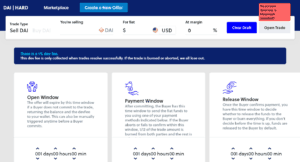 DAIHard, the ‘Unkillable’ Ethereum-based Fiat-to-Crypto DEX Announces Its Open Beta on Mainnet was originally found on copy trading cryptocurrency | Tech, Privacy, Bitcoin & Blockchain | Blokt.